The concentric rings on this mushroom shaped knob create wide grooves and add a rich texture to contemporary furniture. Mounting Hardware is included for easy installation. This simple contemporary stainless steel knob brings any type of dicor up to date.SANIGUARD. silver ion based antibacterial finish has the power to suppress the growth of bacteria, fungi, yeast, algae, mold and mildew on the surface of the hardware. SANIGUARD. does not actually kill bacteria. It inhibits the growth of the bacteria. Silver ions will: Suffocate the microbe: Silver ions inhibits membrane transport processes. Starve the microbe: Silver ions interrupts cell metabolism. Sterilize the Microbe: Silver ions prevent cell multiplication. 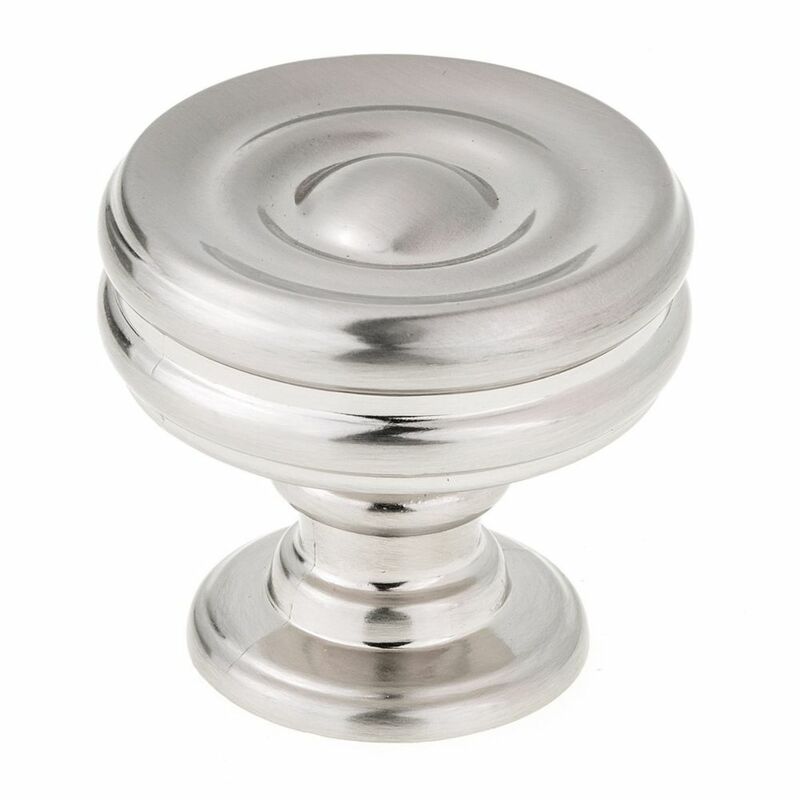 Contemporary Metal Knob The concentric rings on this mushroom shaped knob create wide grooves and add a rich texture to contemporary furniture. Mounting Hardware is included for easy installation.